WRIGHT-PATTERSON AFB, Ohio --- The XQ-58A Valkyrie demonstrator, a long-range, high subsonic unmanned air vehicle completed its inaugural flight March 5, 2019 at Yuma Proving Grounds, Arizona. 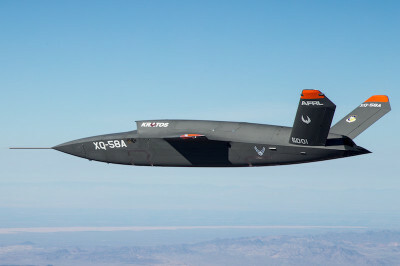 The Air Force Research Laboratory partnered with Kratos Unmanned Aerial Systems to develop the XQ-58A. This joint effort falls within the Air Force Research Laboratory’s Low-Cost Attritable Aircraft Technology (LCAAT) portfolio, which has the objective to break the escalating cost trajectory of tactically relevant aircraft. 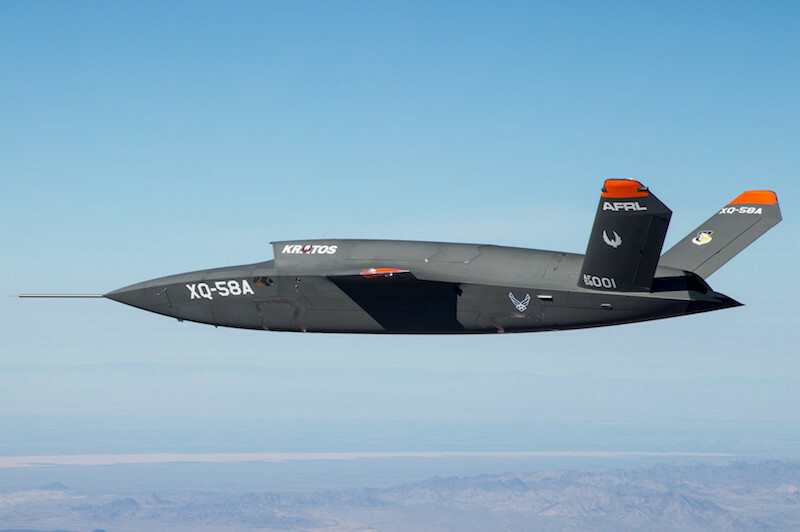 The XQ-58A Valkyrie, a jet-powered drone designed to fly alongside manned fighter jets and navigate autonomously, completed its first test flight on Tuesday at Yuma Proving Grounds in Arizona, according to an Air Force announcement and video released Wednesday. The flight test is a major step forward for an experimental “loyal wingman” concept that envisions small robotic drones accompanying fighter jets into combat, scouting ahead or absorbing enemy fire. Military experts have suggested such systems would be useful in a war between two rival nations, something that aligns with the Pentagon’s increasing focus on competing with China and Russia for military dominance. The Pentagon has yet to commit to the idea. But the Air Force Research Laboratory is among several military agencies dabbling in such technology, partnering with a San Diego-based company called Kratos Defense and Security Solutions to develop the Valkyrie. Chicago-based aerospace giant Boeing introduced its own “loyal wingman” prototype drone last month at a trade show in Australia, according to the trade publication Defense News. It expects its variant to achieve first flight next year.